_The ELCZ runs 13 schools at primary (Burure, Mnene, West Nicholson, Vundembe, Beibridge Mission) secondary (Sumbe, Burure) and high (Chegato, Musume, Masase, Mnene, Zezani, Manama) school levels. The Church also has primary school resource centres for the visually handicapped as Mnene, Musume, Masvingo and Beitbridge with secondary school resource centres at Chegato and Masase. The challenge shared by ELCZ schools as with most schools in Zimbabwe, is the shortage of qualified teachers in the Science subjects of Mathematics, Physics, Chemistry and Biology. Efforts to alleviate this shortage by increased intake of trainee teachers in these subjects at teachers’ colleges and universities has not made much impact as no sooner are these trained than they opt for better salaries and working conditions in neighbouring countries like South Africa, Botswana and Namibia. In 2009, the Ministry of Education, Sports and Culture started encouraging schools to introduce computer studies. The secondary schools accepted the new reform particularly schools with electricity. Beitbridge Mission School welcomed the idea and thought of how to raise funds to purchase computers. The school Head and one of the teachers who attended the workshop ignited the desire to introduce computers at the school. After briefing the school development committee, the school head advanced acceptable proposals. The workshop motivated the school administration to expand the school curriculum. A number of pledges from former students on assorted building material were not fulfilled. The school introduced civvies day twice per month at five rand per child. The enrolment was 1026 by then (2010) and the school raised about R8000 and managed to purchase 20 computers. A resource room was electrified and used a computer lab. The challenge faced was to get a qualified computer teacher. 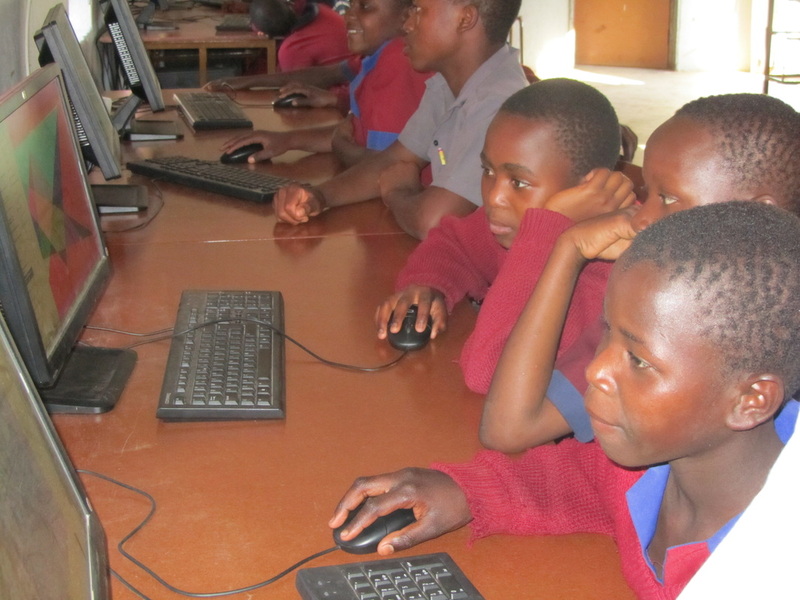 The school recruited someone with computer knowledge and the programme started with students from grade four to seven having computer lessons. The School Development Committee realised that the resource room was congested with programmes which interfered with computer lessons. The school came up with the idea to build a computer laboratory. A special levy of $20 was introduced and the school raised about $20 000. Also the school saved about $7 000 from a programme it hosted and tightened school budget to spare some money to put up a computer lab. The computer lab was built and completed in February 2013. The whole programme was through the effort of the parents and former students.